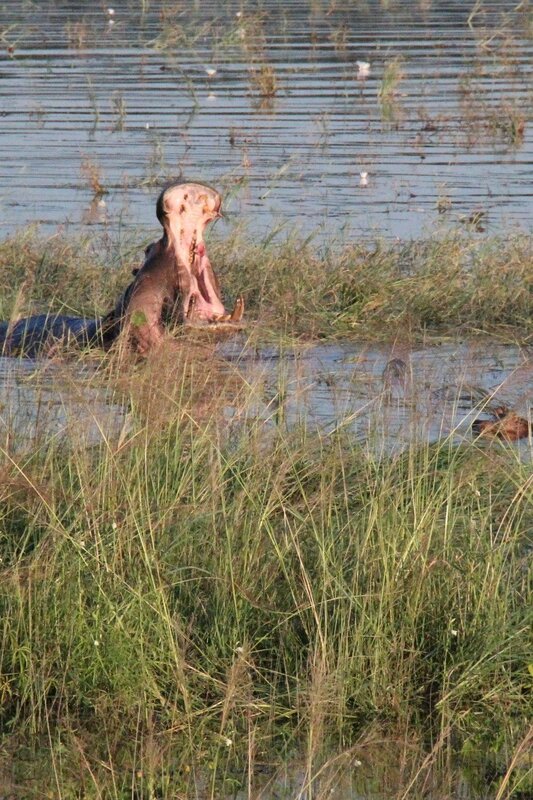 After our return from the Okavango Delta we jumped in the car to drive east toward Kasane. 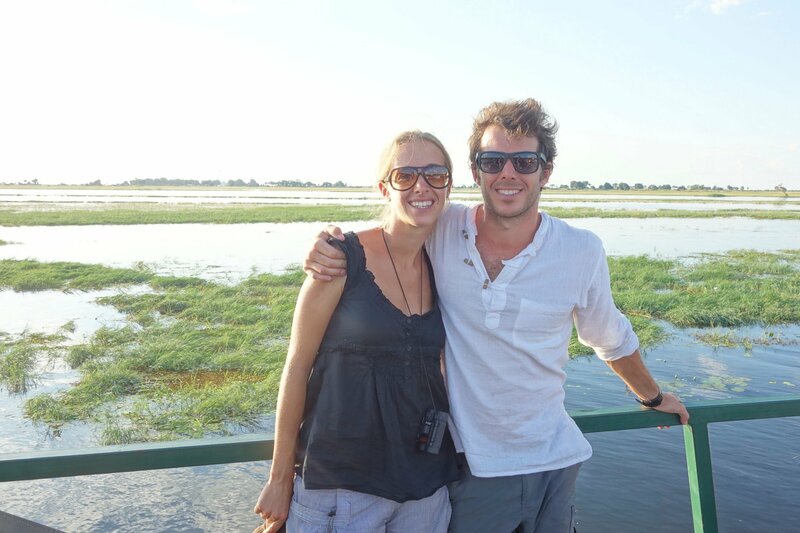 After 8 hours of driving, we arrived at Kasane, the main city and the gate to the Chobe National Park. As you can see on the map below, we are not far from Zimbabwe, ZAmbia and Namibia. Just before arriving to Kasane we can spot elephants and buffalos walking quietly along (sometimes on) the road. 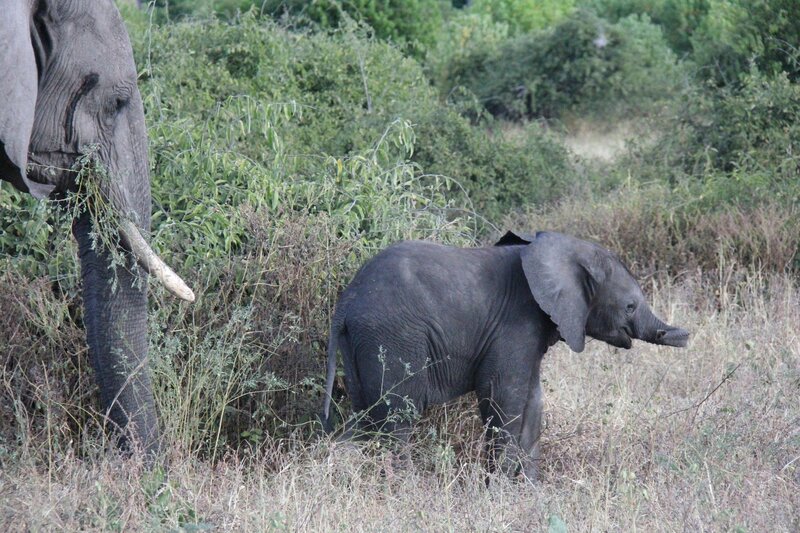 In the city of Kasane, we had to give right to some elephants just next to our camping site. 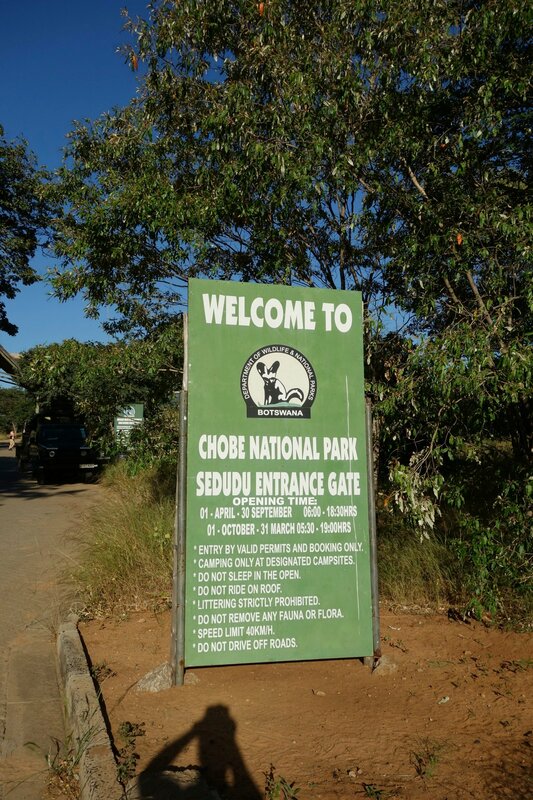 Chobe is an open where all the animal can go anywhere they want and even cross the border to Zimbabwe or Namibia and Zambia. We almost could compare it to the European Union but far more efficient and less bureaucratic. 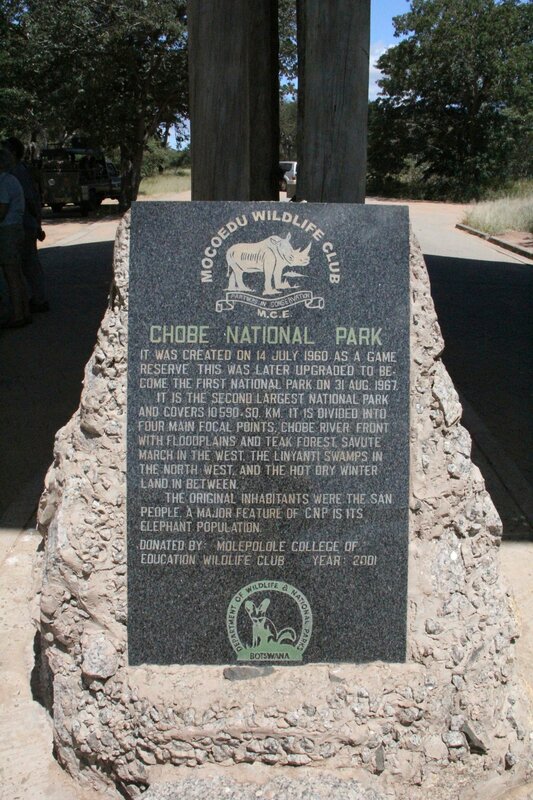 Chobe NP has been created in 1960 and became a National Parc in 1967. 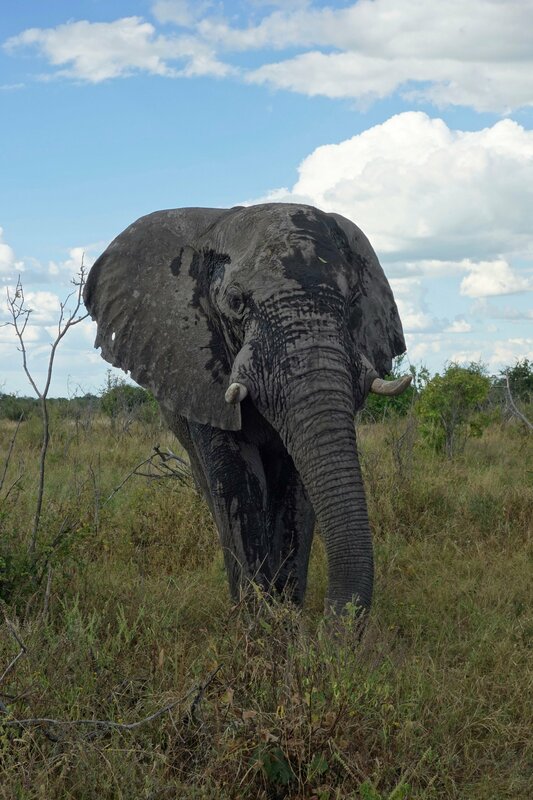 It is the park with the highest concentration of game of whole Africa and today with 50,000 elephants in the park, it has the highest concentration of elephants of Africa. 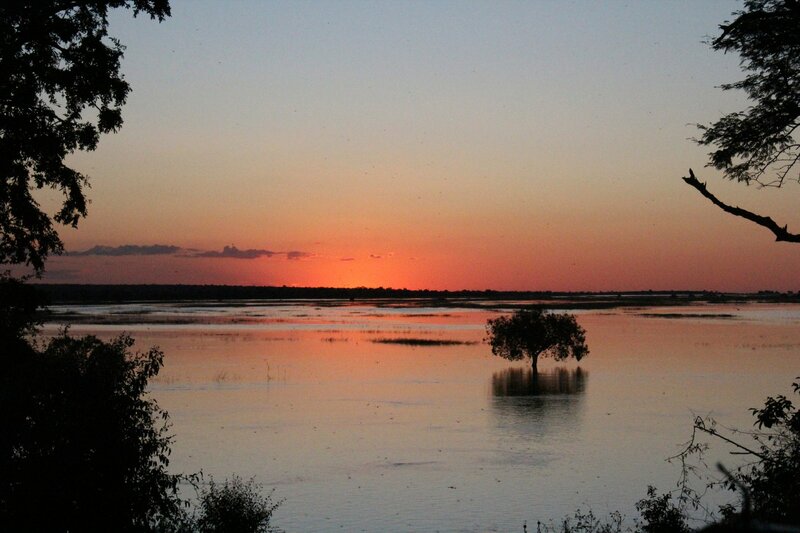 We spend three days in Kasane and Chobe. 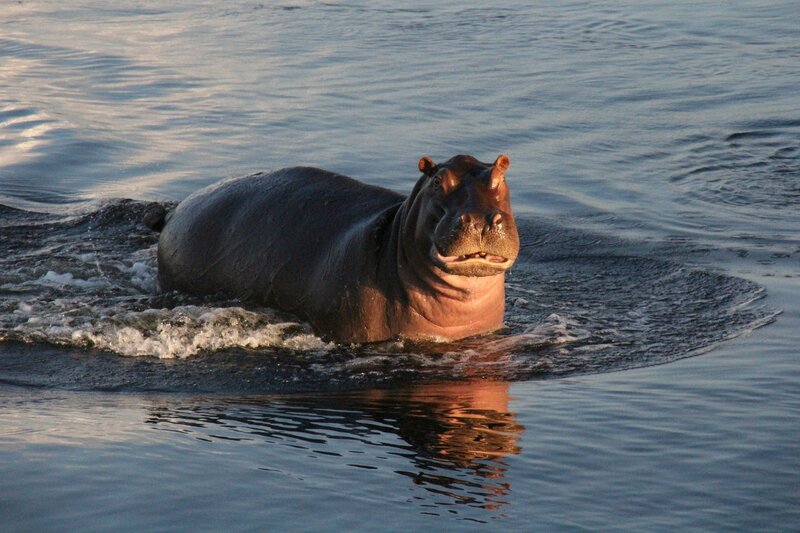 The first day (the day we arrive) will end up on a cruise on the Chobe River (part of Chobe NP) where we will spot a lot of hippos fighting, yawning. As well a few elephants coming to the shore to drink. The sunset from the boat with this amzaing fauna and flora is great. And I recommend anyone who goes there, to book the cruise. 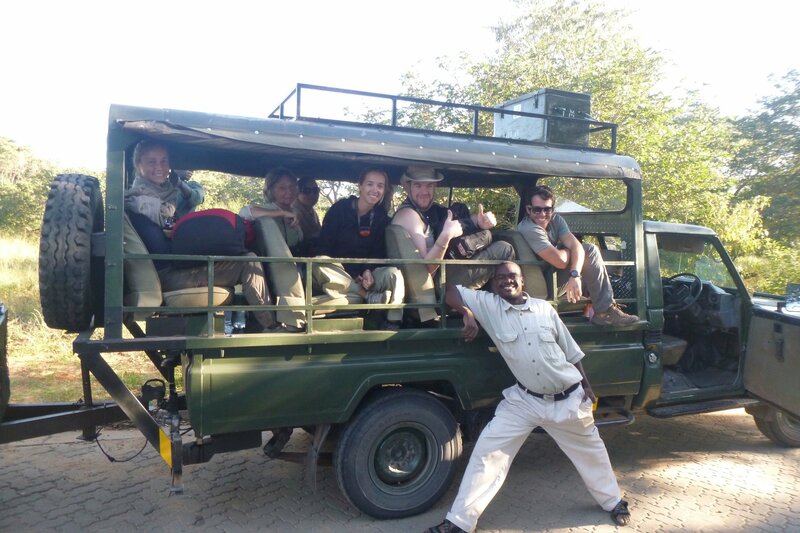 The next morning, we leave on a spécial four Wheel drive for two days exploring the inner of Chobe. 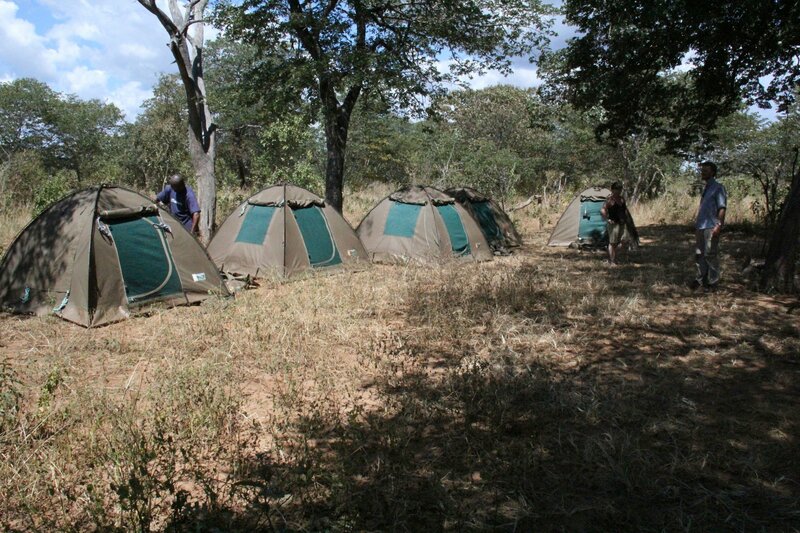 We will camp in the middle of the park, around the widlife without any electrical fence. I hope I won’t wake up with an elephant on my tent. 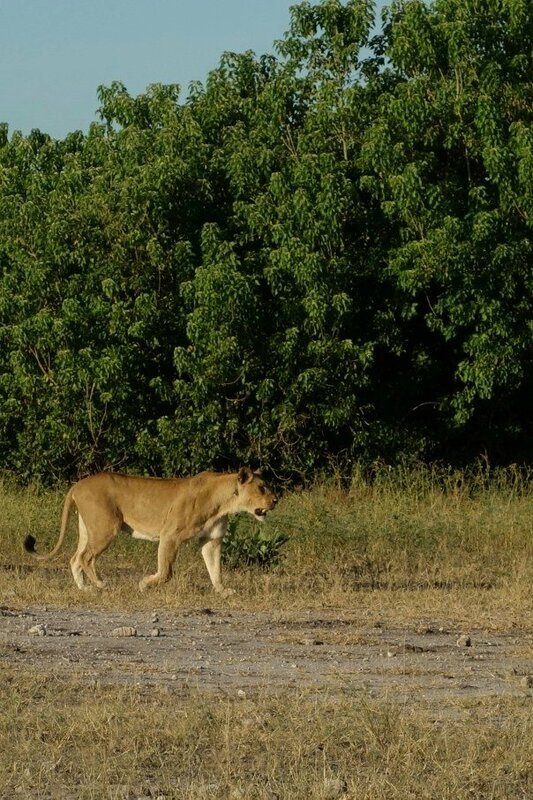 We will spot a lioness. Not sure if she was looking for some food as she stopped a few meters away from a group of impalas… Shame, nothing happen.. There won’t be blood !! The tour was really good and we see plenty of game. Last picture of our group before heading to Zimbabwe. 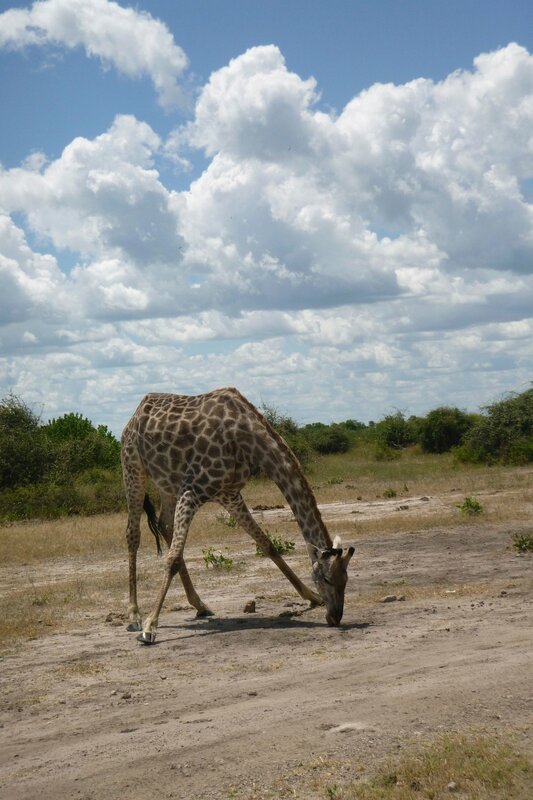 The final gallery of Chobe NP, enjoy!! And a big thanks to John for letting me borrow some of his amazing pictures. 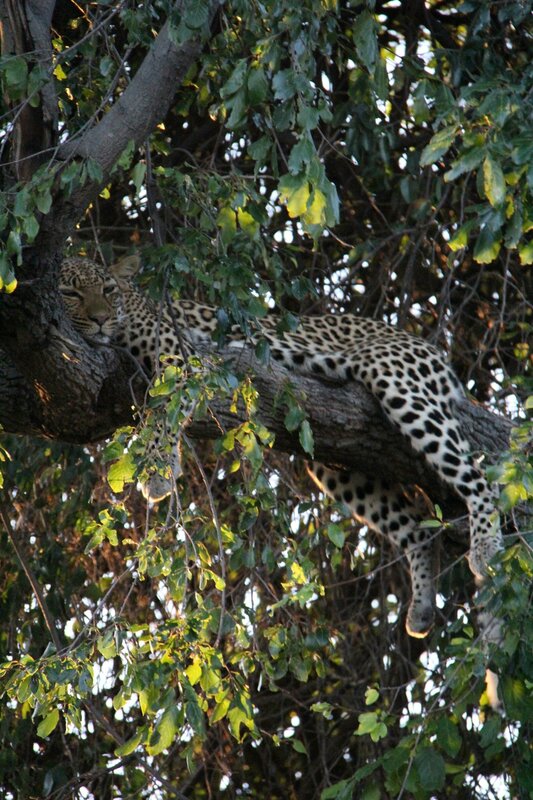 Looks unreal!love the lazy leopar photo..